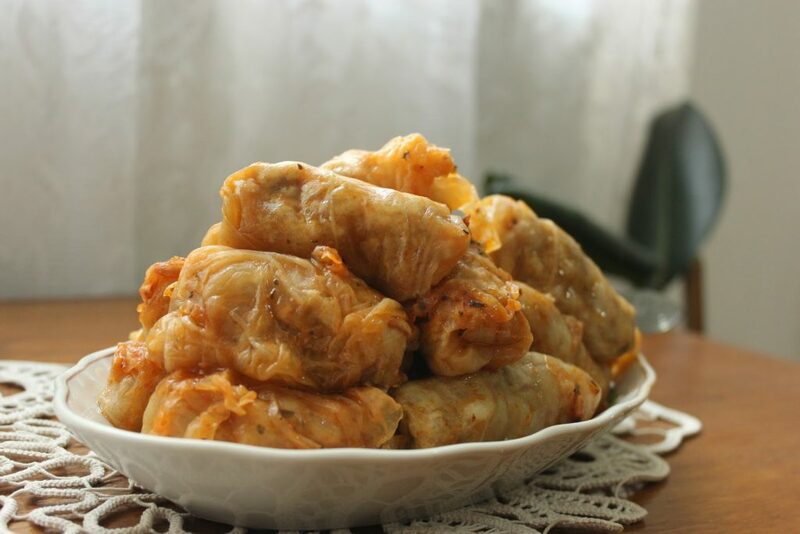 Sarmale are Romanian stuffed cabbage rolls traditionally served on Christmas and New Year’s Eve but also served throughout the year at weddings, baptism parties, and other large celebrations. 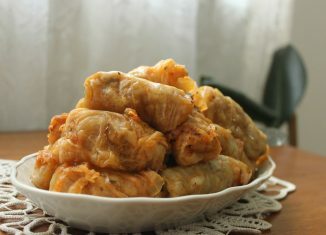 Ground pork is mixed with sauteed caramelized onions and rice stuffed in a cabbage leaf, pickled sauerkraut leaf or grape leaf. 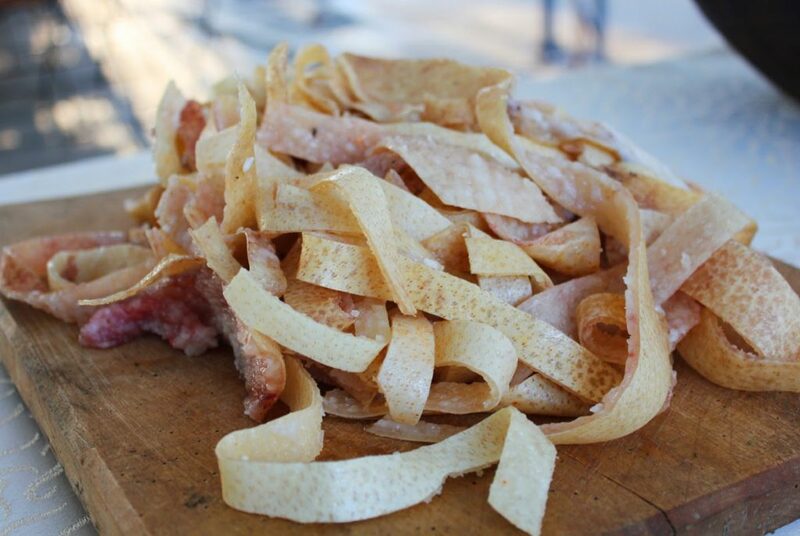 For flavor, they usually consist of layers with smoked pork fat, smoked ribs, or smoked sausage. 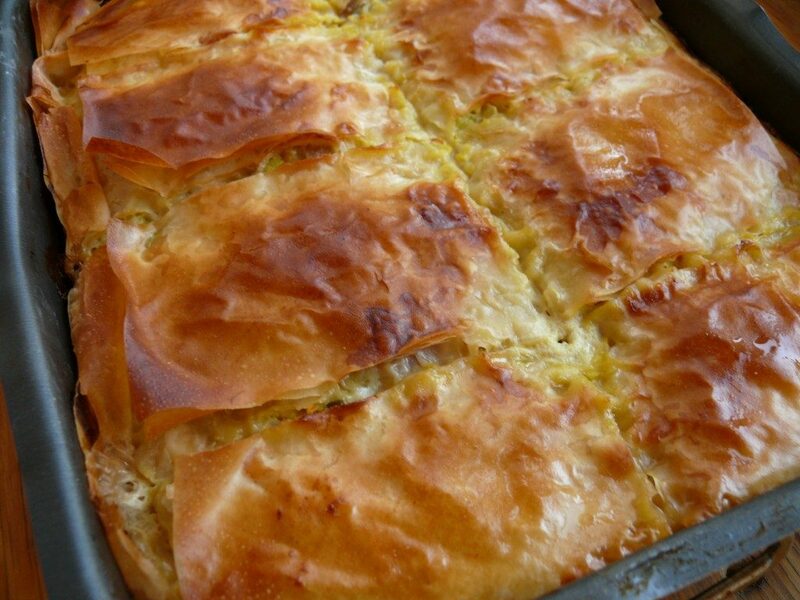 The Romanian sarmale is a versatile dish, and the best way of consuming is reheated the next day. The flavor is different with an enhanced flavor. 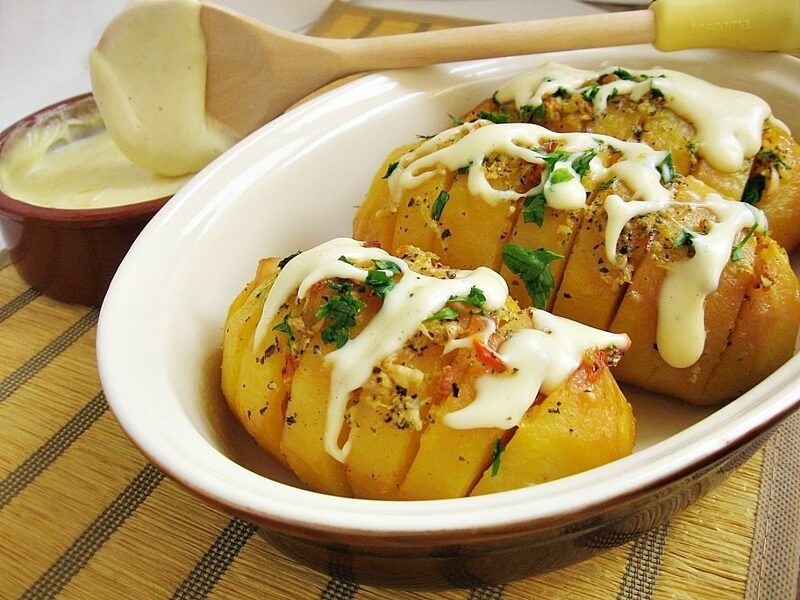 It can be prepared with a tomato base, dill base or combination. Sweet shredded cabbage layers in between the rolls of pickled cabbage leaves or sauerkrautlayers in between of sweet cabbage leaves. 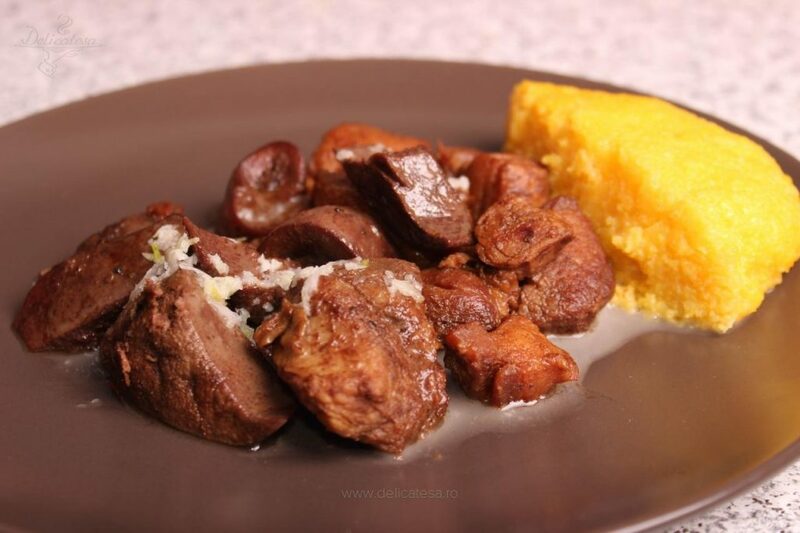 The taste is significant different but still a great dish. 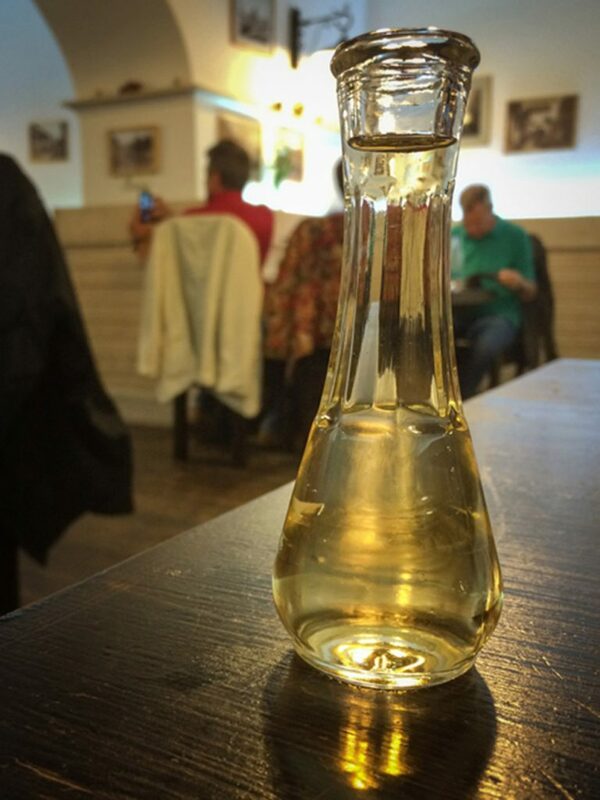 “Borş”( read “borsh”) is the Romanian word for a natural sour juice made of fermented wheat bran, maize flour and water. 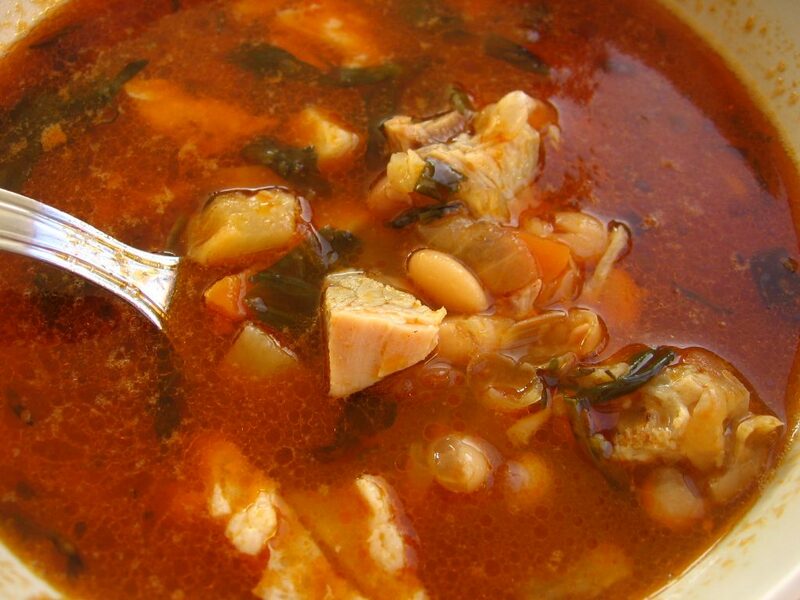 Romanian “borș” soup recipes can include various kinds of vegetables and any kind of meat, including fish. 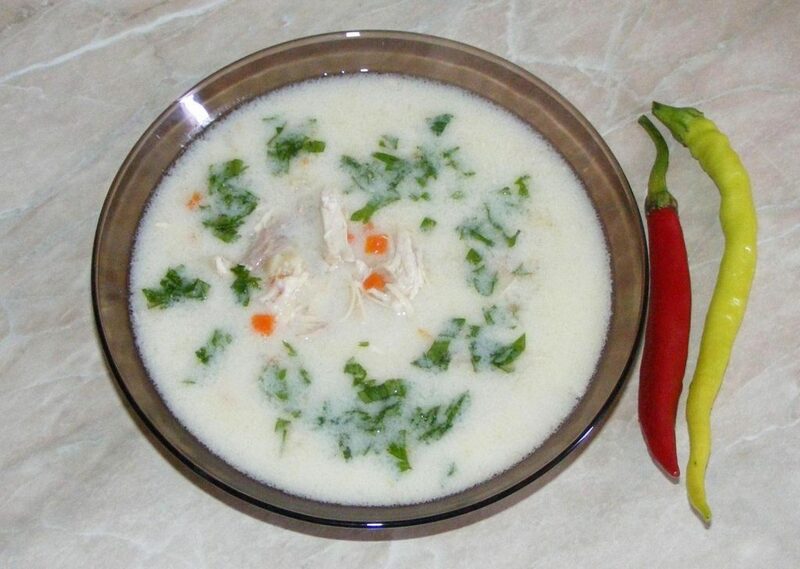 For example “Borș/ciorbă de perişoare” (a broth with meatballs) is quite common. 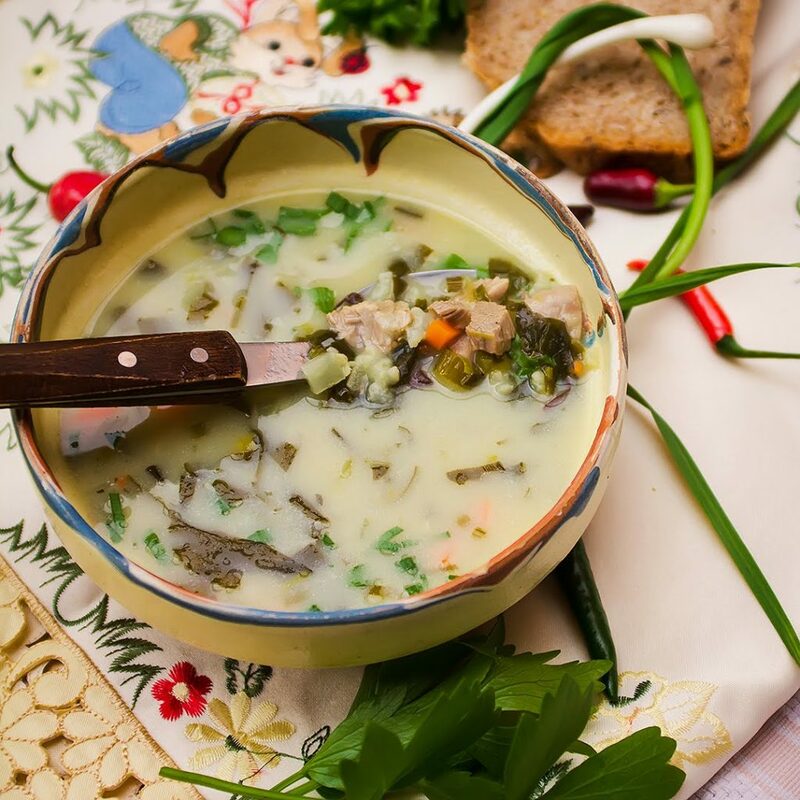 One ingredient required in all recipes by Romanian tradition is lovage leaves, which has a characteristic flavour and significantly improves the soup’s aroma. 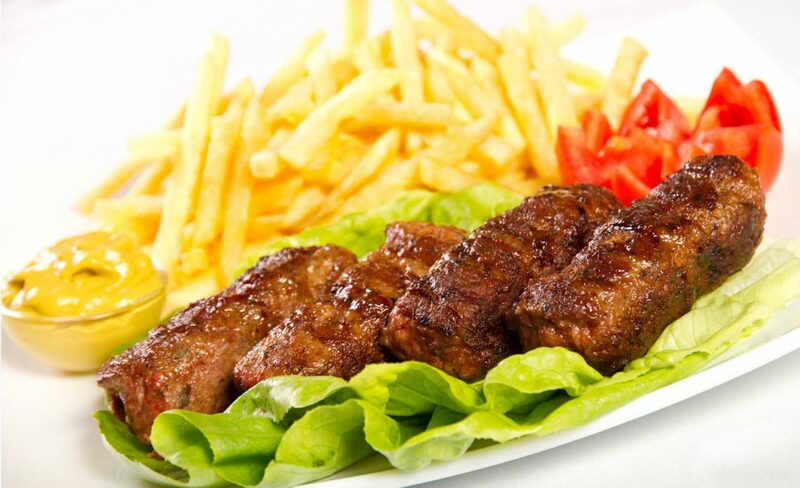 Mititei or mici, both Romanian words meaning “small ones”) is a traditional Romanian dish of grilled ground meat rolls made from a mixture of beef, lamb and pork with spices, such as garlic, black pepper, thyme, coriander, anise, savory, and sometimes a touch of paprika. Sodium bicarbonate and broth or water are also added to the mixture. 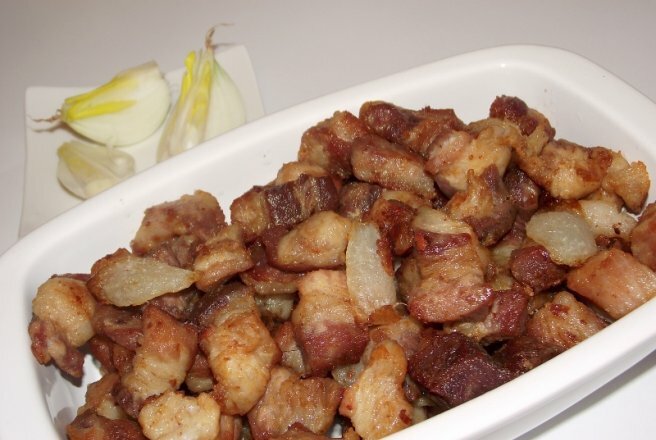 Salted Pork rind (Sorici), pork skin from softer parts, which can be eaten uncooked or boiled with garlic. 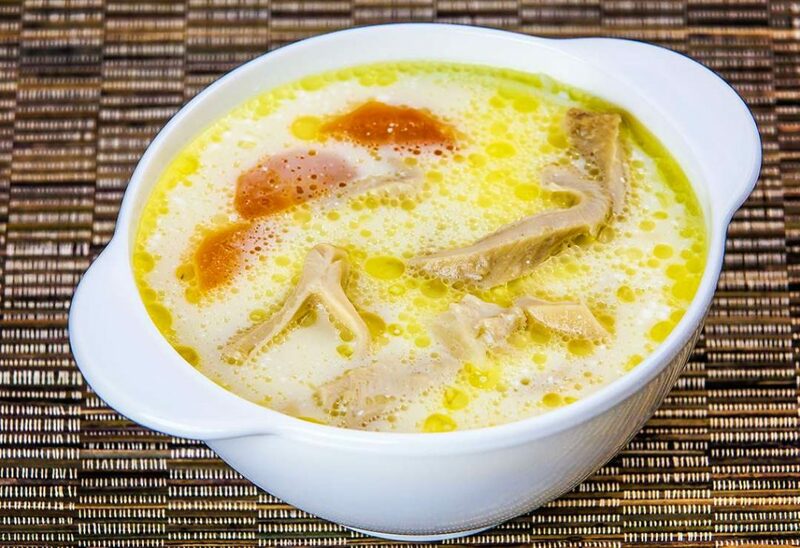 Ciorba de Burta (Tripe soup) is a common dish in Balkan, Bulgarian, Greek, Turkish, and Eastern European cuisine. It is widely (not universally) considered to be a hangover remedy. 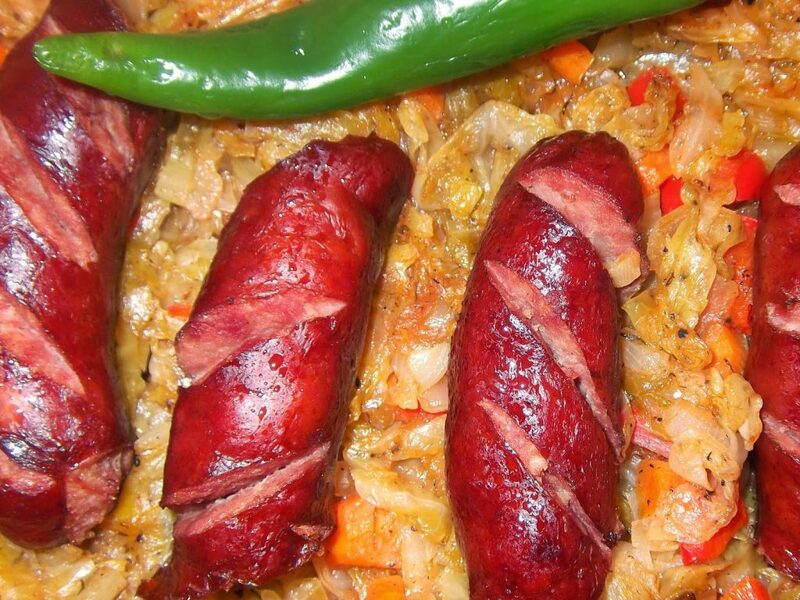 Varza à la Cluj is a specialty food from Transylvania, it’s cabbage with minced meat and rice baked in sour cream. Delicious!! 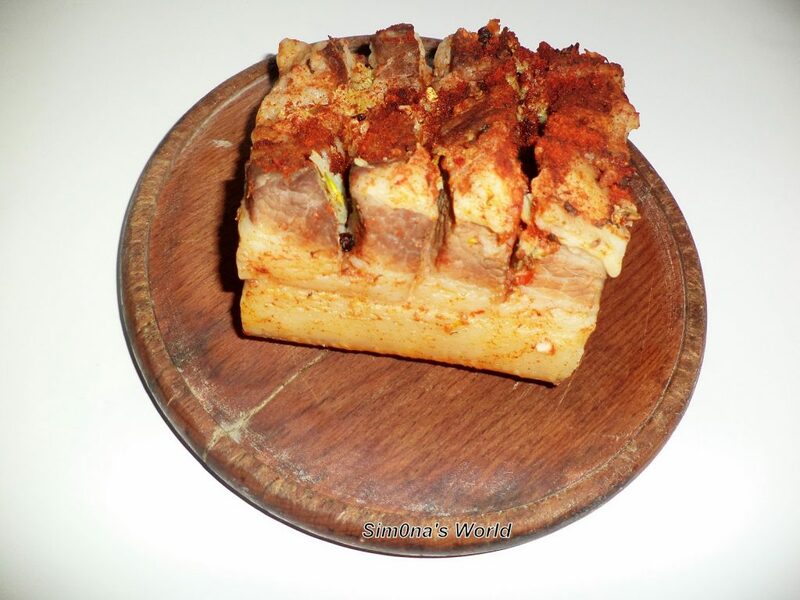 The traditional dish in Romania that is popular around Christmas holidays is actually pork jelly. 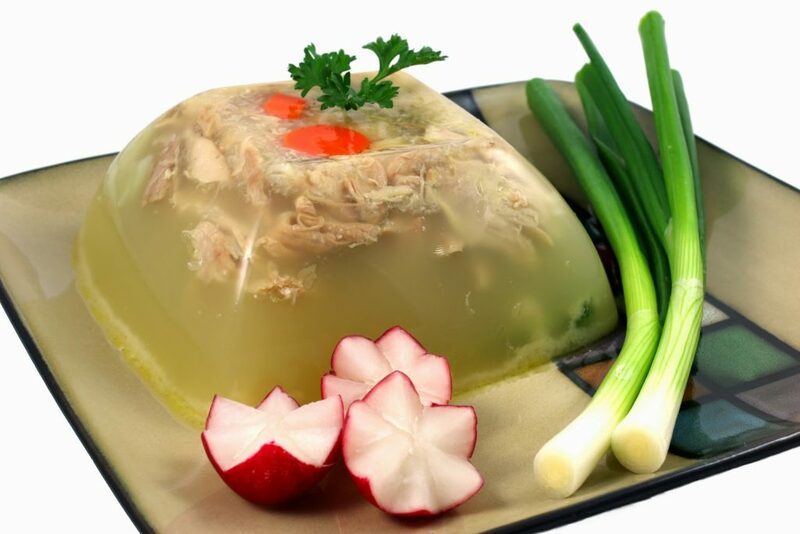 It is made using pork trotters, rind, ears or feet as they contain a lot of natural gelatin. 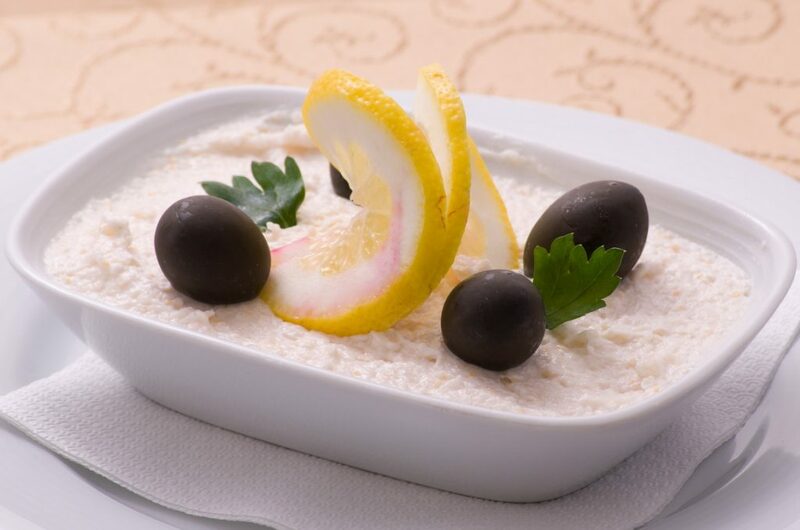 Fish Roe Salad (Salată de Icre) is made with pike or carp fresh roe and is a customary appetizer for festive dinners. 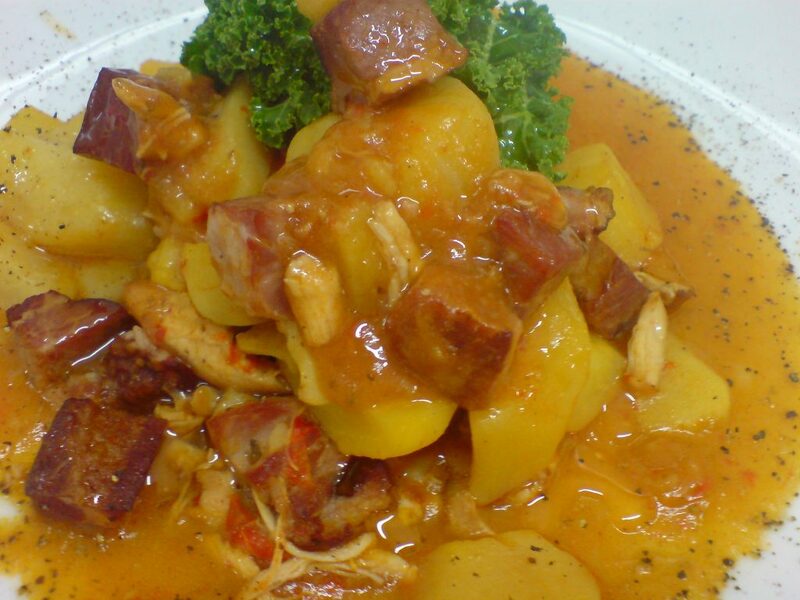 Garlic, bay and wine is added to this traditional recipe named in Romanian “pomana porcului“. 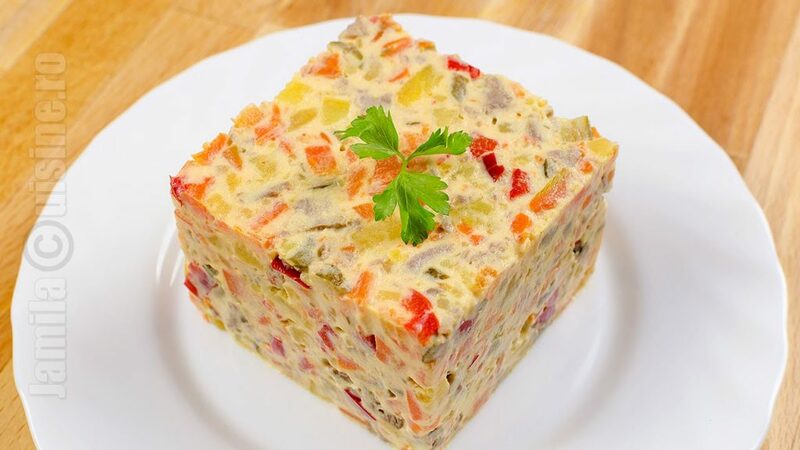 Beef Salad known as Salata de boeuf in Romania, is a traditional salad made for Easter, Christmas and New Year’s Eve. 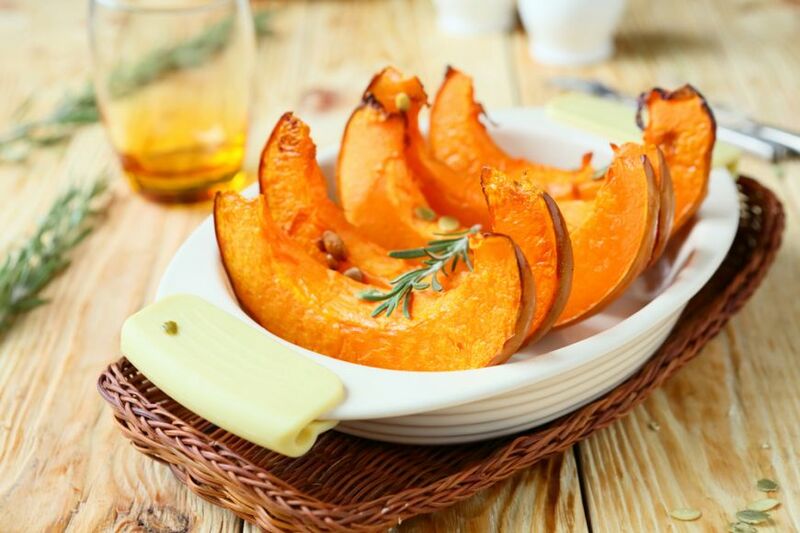 It can be served as a side dish, or a meal on its own. 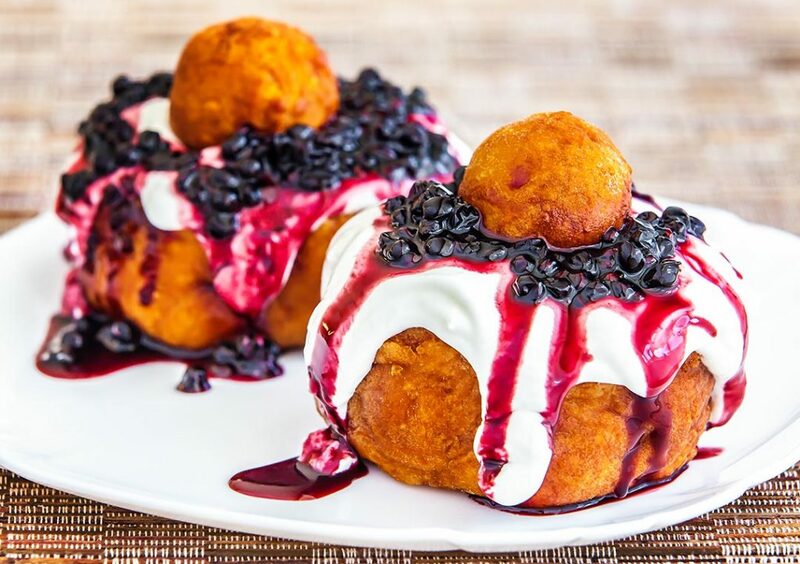 Papanași is a Romanian traditional fried or boiled pastry resembling a small sphere, usually filled with a soft cheese such as urdă and any kind of sour jam. 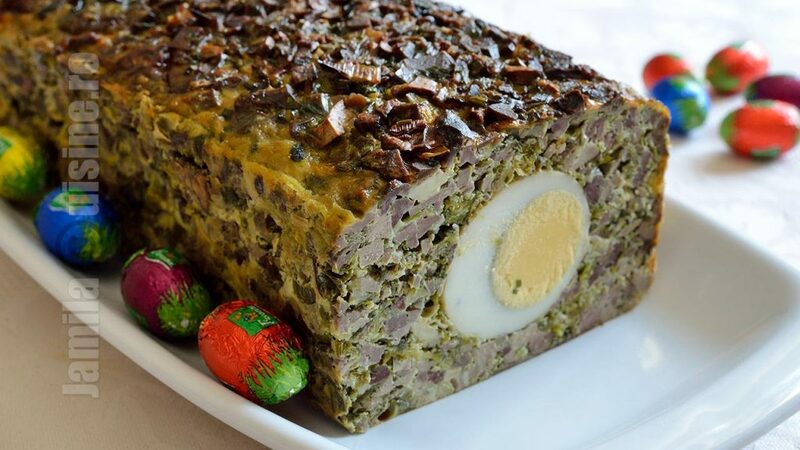 Drob de Miel (Lamb Drob) or Drob de Paste (Easter Drob) is a traditional Romanian dish, similar to a haggis, usually served at the Easter table. 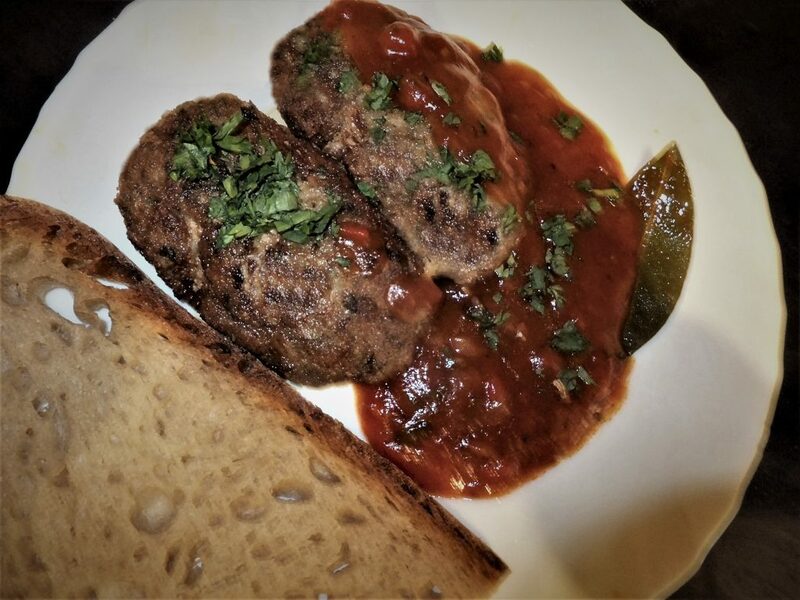 Pârjoale moldovenești, specialisty from eastern Romania, are kinds of meatballs from ground pork occasionally mixed with ground sheep meat, beef or poultry, with eggs, dried bread crumbs, garlic, herbs and salt added to it. 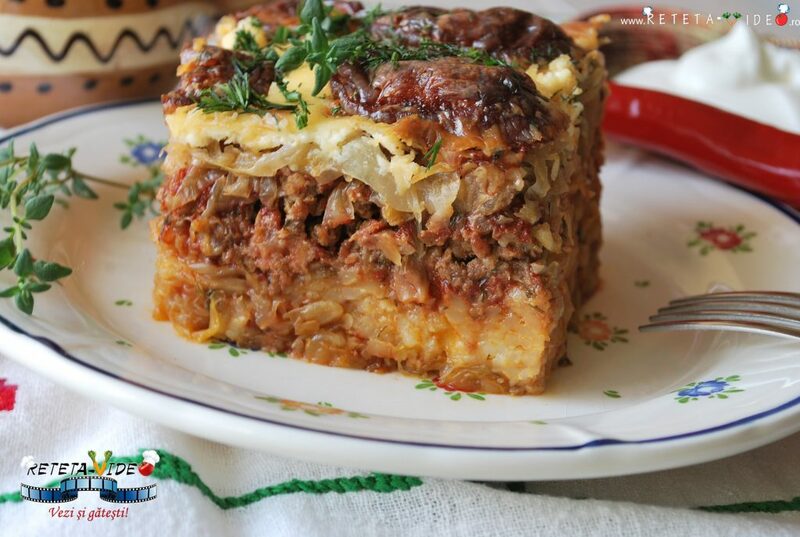 Fasole cu ciolan afumat is national dish of Romania, sometimes called Army Dish. It is smoked pork knuckle with bean sauce. 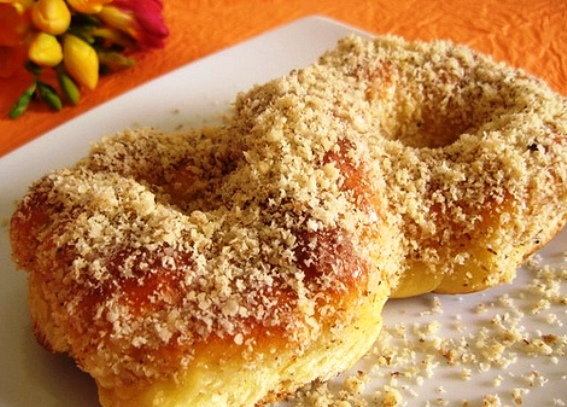 Cozonac or Kozunak is a traditional Romanian and Bulgarian sweet leavened bread, which is a type of Stollen. 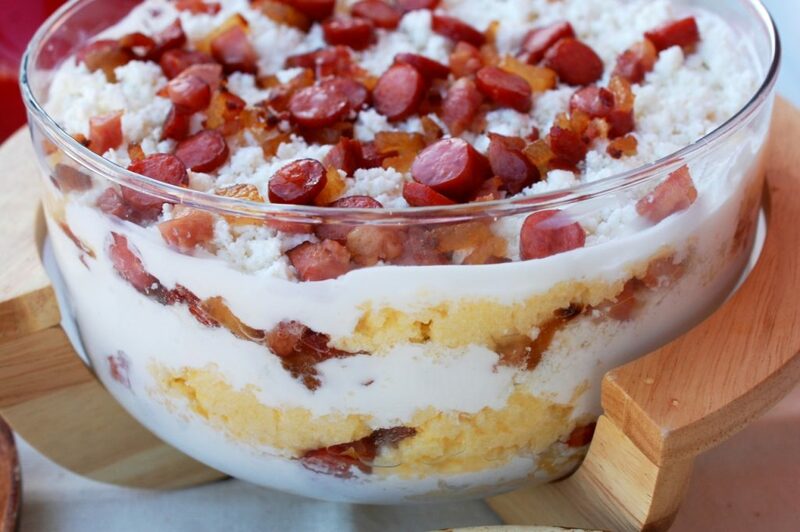 It is usually prepared for Easter in Bulgaria, and mostly for every major holiday (Christmas, Easter, New Year’s Day, Pentecost) in Romania and Moldova. 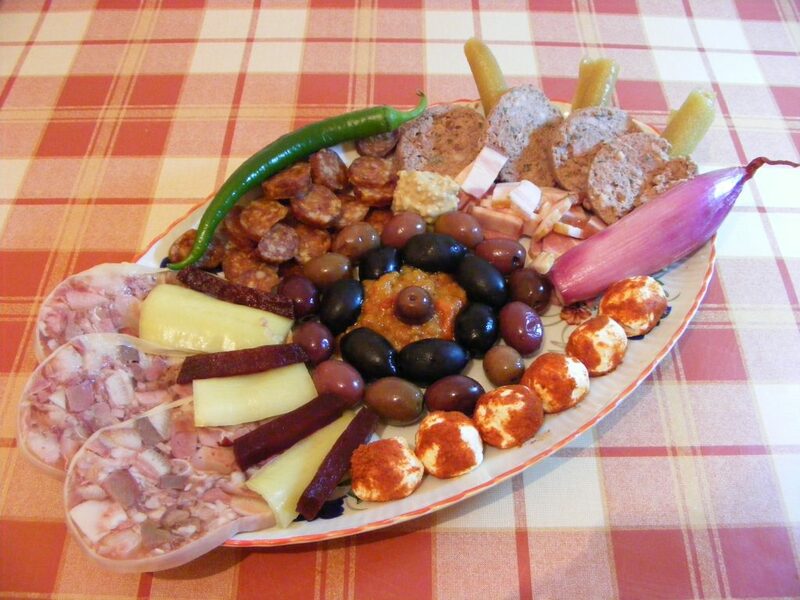 Zacuscă is a traditional vegetable spread found in Romania. 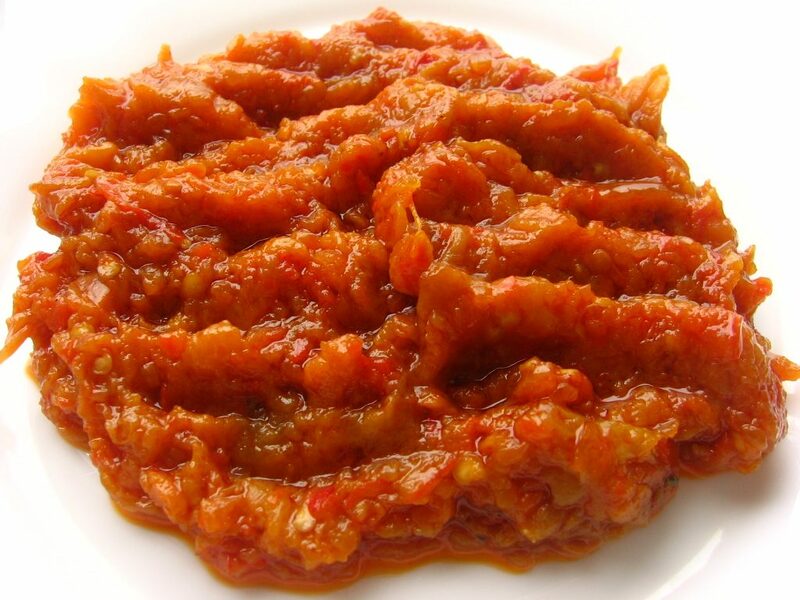 It is delicious on crust bread or even as a topping on rice for a quickie vegetarian meal. It is also excellent as a sandwich spread. Mucenici is a Christian feast of the 40 Martyrs of Sebaste, a traditional holiday in Romania and Moldova. It coincides with the start of the agricultural year. Some believe that when the Martyrs were drowned, flowers rose to the surface. 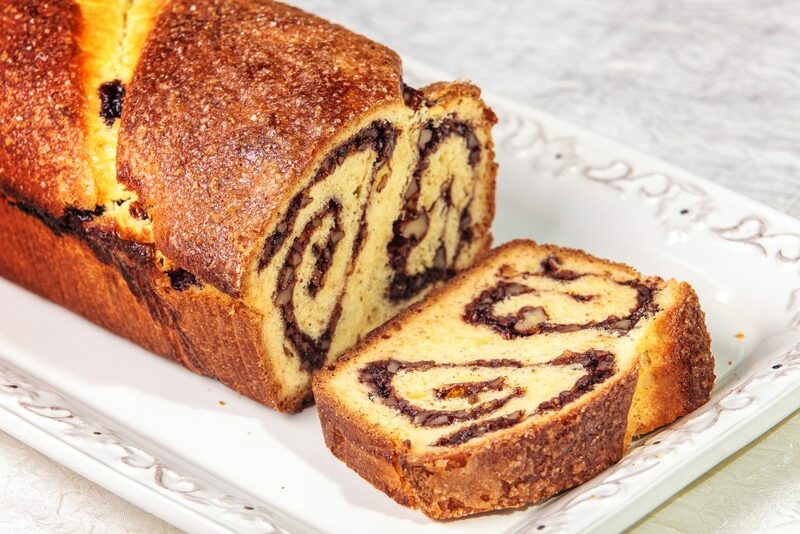 As a result, for the date of 9 March, every, year, there is a typical dessert with the same name, Mucenici. The desserts are made in the figure 8 to look like garlands. Others believe that the figure 8 denotes a stylized human form of the martyrs themselves. 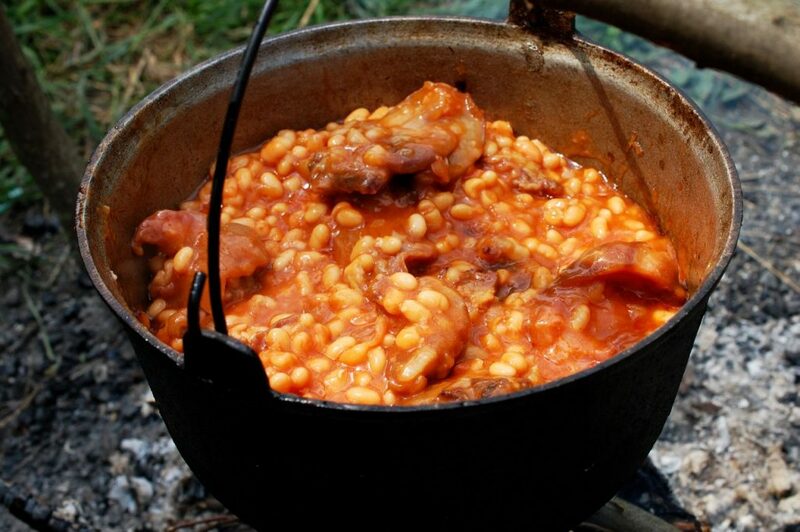 Koliva, kollyva, kollyba or Colivă is boiled wheat which is used liturgically in the Eastern Orthodox Churches. 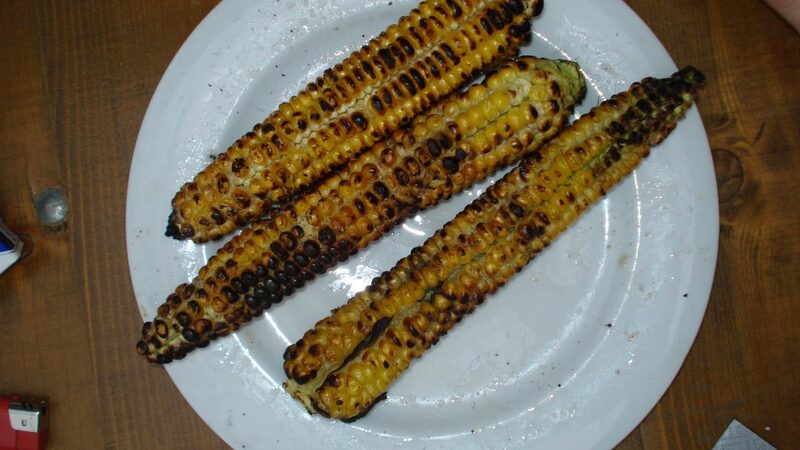 While recipes may vary widely, the primary ingredient is wheat kernels which have been boiled until they are soft, they are drained very well and spread on a cloth to be just moist, and then sweetened with honey or sugar. Koliva also contains some or all of the following: wheat, sesame seeds, almonds , ground walnuts, cinnamon, sugar, pomegranate seeds, raisins, anise and parsley. 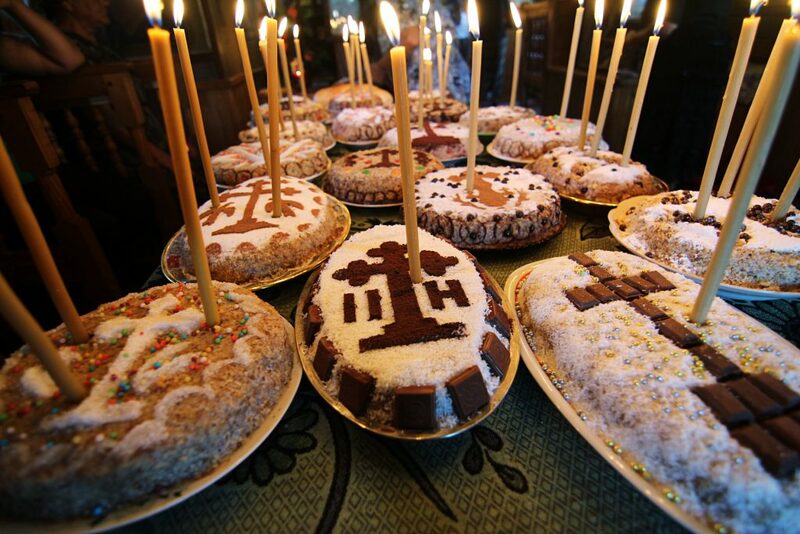 Romanians decorate the koliva with crosses of cocoa, chocolate or candy. 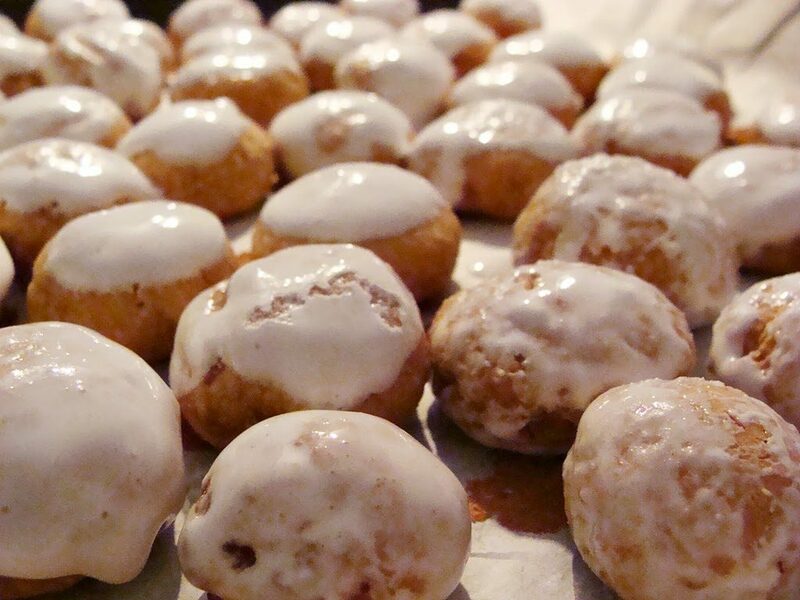 Romanian gingerbread. Gingerbread refers to a broad category of baked goods, typically flavored with ginger, cloves, nutmeg or cinnamon and sweetened with honey, sugar or molasses. Gingerbread foods vary, ranging from a soft, moist loaf cake to something close to a ginger biscuit.